At AfriCamps we love when families come together – whether it’s for a holiday, a birthday, or just a getaway. 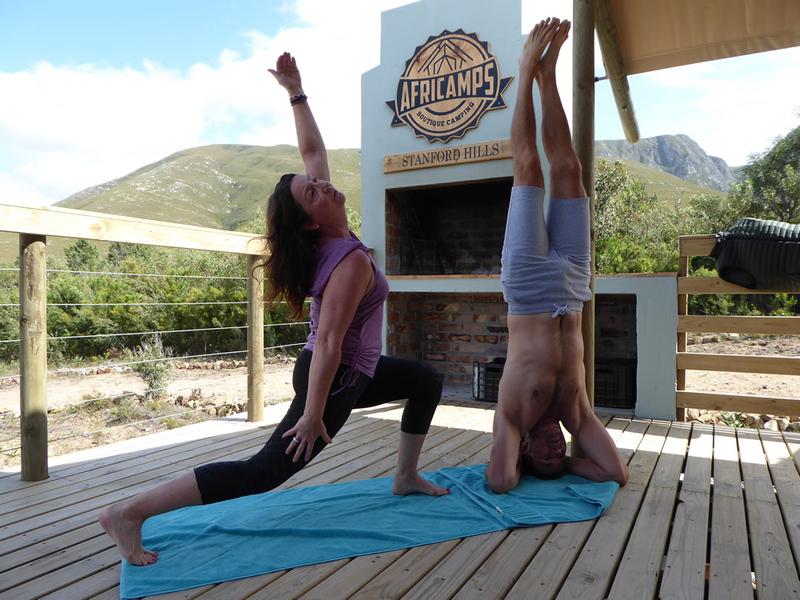 There is truly something for everyone at each of our AfriCamps locations. The kids will spend hours swimming, sliding, canoeing, making new friends on the playground or just roaming around to explore. The men love to come together for a braai or a spot of fishing, and the ladies, well, where do we begin? The ladies at AfriCamps have rounded up some of their favourite things to do, for some inspiration. Try them all on your next AfriCamps adventure. Our locations boast the most scenic tracks for an early morning ladies run. And what better motivation than knowing breakfast will be waiting… Happily prepared by dad and the kids. All AfriCamps locations offer sumptious breakfast baskets including the best fresh produce and dairy for you to prepare. Breakfast baskets differ slightly between our locations, as each location fills their baskets with the freshest local produce. Freshly baked muffins, muesli, fresh fruit, yoghurt, juice, preserves, eggs, bacon, sausage, freshly baked bread, fresh milk, coffee and rusks are some of the items you can expect to find in your basket. Pre-order your breakfast basket from R110 per person. Grab a deck chair, catch some rays and relax! The deck is the perfect tanning spot, but depending on your location, you can relax and catch a tan next to a swimming pool or find a quiet riverside spot. Remember to reapply sunscreen every two hours – the hot African sun can be brutal in summer. Photo taken at AfriCamps at Mackers in Hazyview. 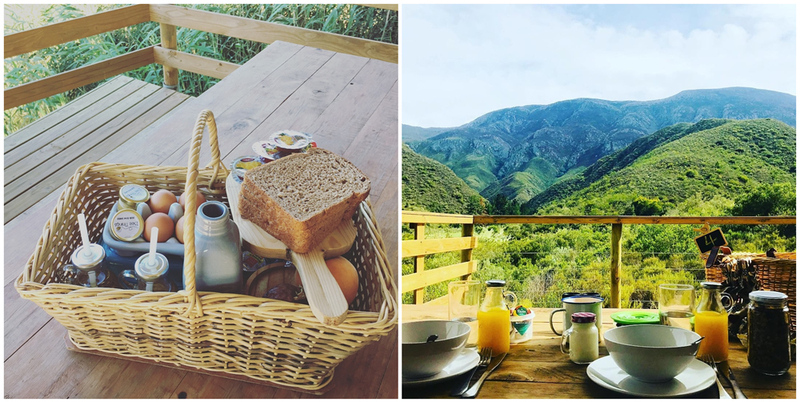 From beautiful blooming Proteas at Stanford Hills to walking among various buck species at Ingwe or Klein Karoo, all AfriCamps are located on beautiful properties where the unspoiled nature can be enjoyed. Photo 1 taken at AfriCamps at Stanford Hills by Rooms For Africa.. Photo 2 taken at AfriCamps at Ingwe in Plettenberg Bay. 6. Finish that novel you’ve been reading for months. Whether you do it curled up in front of the fire or stretched out on the deck. Whether it’s The Great Gatsby, Gulliver’s Travels or Eat Pray Love – take a time-out and get lost in a good book. Photo 1 taken at AfriCamps at Pat Busch in Robertson by Anien Marais. Photo 2 taken by AfriCamps at Mackers in Hazyview. 7. 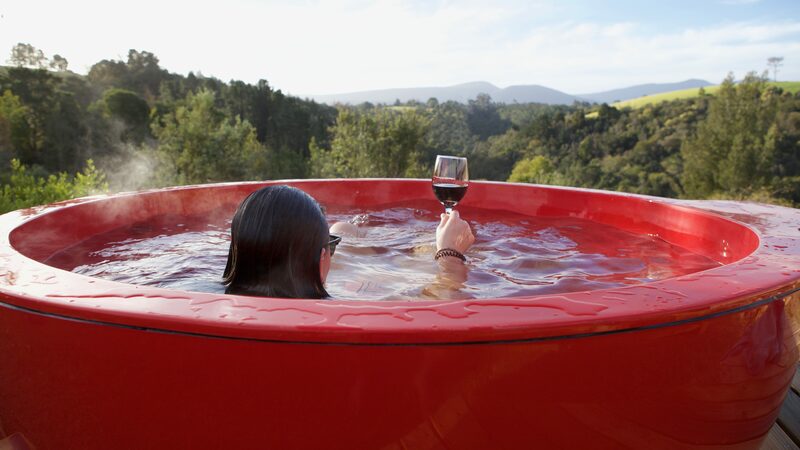 Did someone say wood-fired hot tubs?! 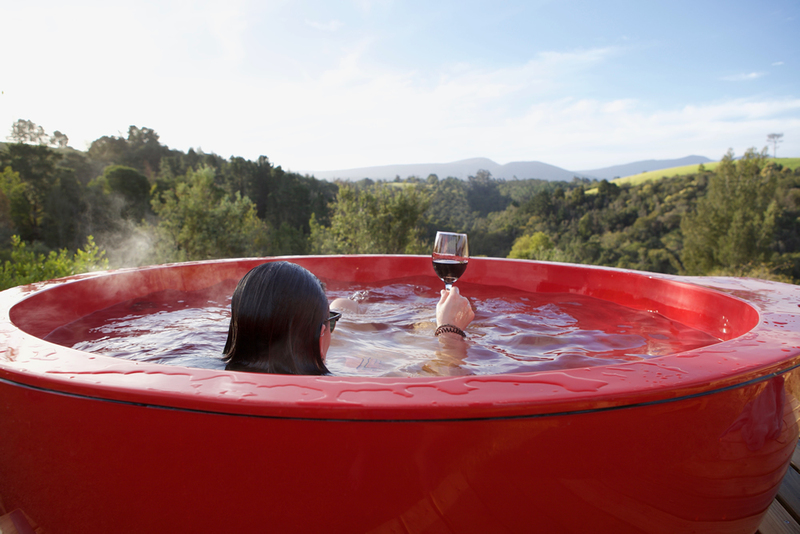 Visitors to AfriCamps at Ingwe in Plettenberg Bay can warm up in our outdoor wood-fired hot tubs. Simply light the fire and let the brilliant design do the work. Sit back and soak up that Tsitsikamma view. Our guests have proven our decks to be the perfect spot for stretching out with yoga or pilates. Bring your yoga mat, leave your worries behind. Image taken at AfriCamps at Stanford Hills and provided by Katja Vollpott. 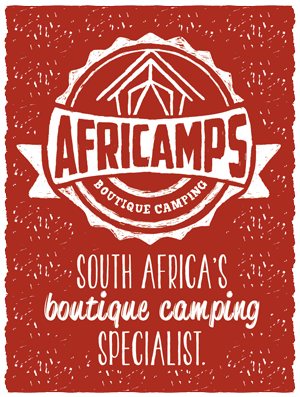 Our newest camp, AfriCamps at Mackers in Hazyview offers massage treatments from the comfort of your own tent. Book a treatment and prepare to be pampered to the sound of the Sabie River. View the Mackers activities page for the price list. All AfriCamps’ are in close proximity of attractions that make for memorable day drives. Visit Kruger National Park from AfriCamps at Mackers in Hazyview, go wine tasting form AfriCamps at Stanford Hills in Stanford or Pat Busch in Roberston. Explore the 4th oldest town in the country, when staying at afriCamps in Kam’Bati Swellendam, or meet the ostriches and meerkats at AfriCamps Klein Karoo. AfriCamps at Ingwe is surrounded by Garden Route attractions like the Tsitsikamma forest and Plettenberg Bay.